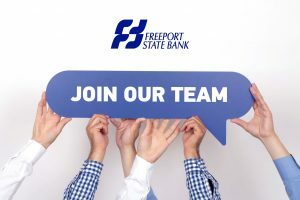 Freeport State Bank is currently accepting applications for a full time teller and a part-time teller at the Freeport/Melrose office. We are looking for friendly, detail oriented individuals to provide professional customer service. Previous banking or customer service experience is a plus. Freeport State Bank offers a competitive benefit package. Freeport State Bank is an Equal Opportunity Employer of Women, Minorities, Protected Veterans and Individuals with Disabilities.